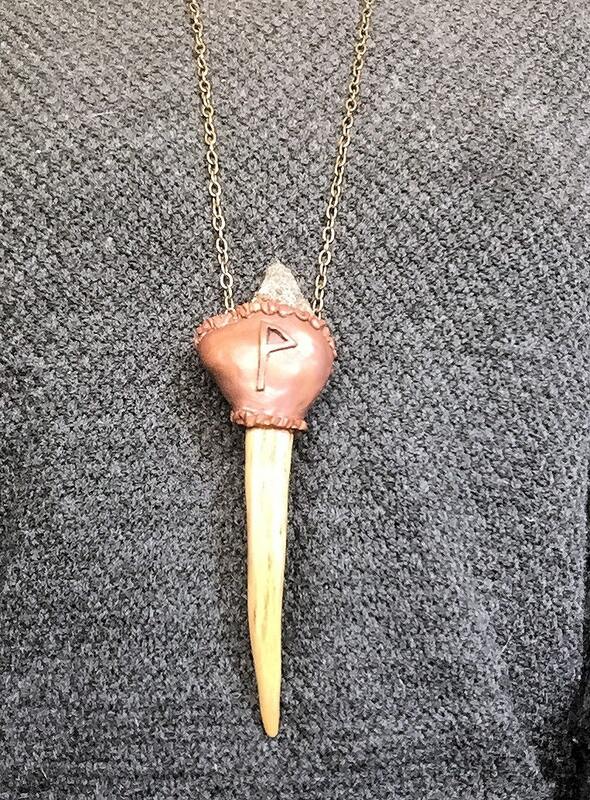 This necklace has been sculpted using a high quality polymer clay on a deer antler, finished in a beautiful copper color with a 28 inch brass chain. I have featured the Wunjo rune on this necklace paired with a large marcasite stone. It has the look of a golden spear! The meaning of the Wunjo rune is harmony, joy, pleasure and fellowship and prosperity. I chose to pair marcasite with Wunjo because the lore surrounding the stone says that it helps to heal emotional scars and protect from negativity. Wunjo is perfectly enhanced by marcasite. 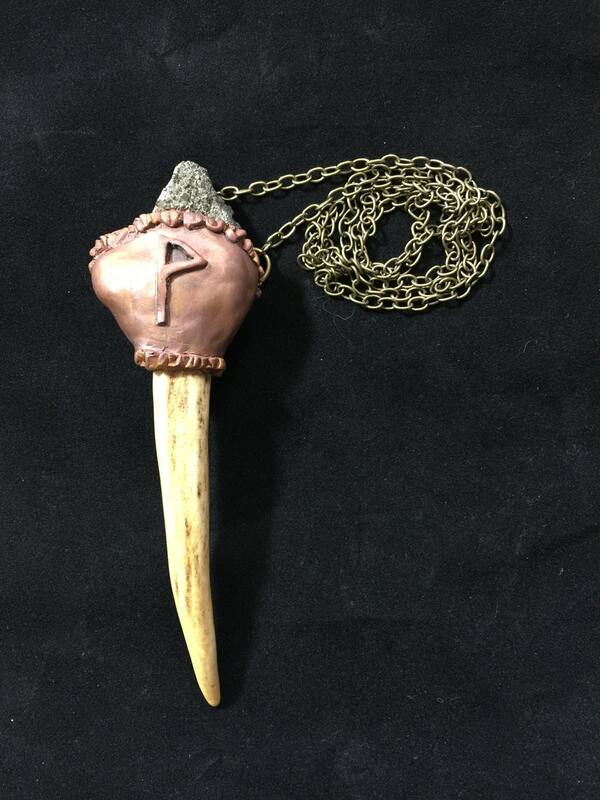 With the purchase of your beautiful necklace you will receive instructions for calling forth your rune.